I’m right now, at this moment sitting in a hotel room in WuXi, China, after being in Shanghai, Suzhou, and Hangzhou, and I have absolutely no idea what to share with you for this Saipanpreneur column! I have been and continue to be busy keeping a group of friends and relatives updated by e-mail on my day-to-day exploits here in China, and of course, living the exploits themselves. I keep thinking, though, that I could share some of the insights and observations I’ve made since being here, but I’m not sure how helpful that might be. On Saipan, we always joke about the factory girls walking so close to the edge of the roads risking bodily injury here on the island. But after seeing and experiencing the never-ending, fluidly intertwining mix of people, bicycles, mopeds, taxis, buses and general vehicular traffic vying for the right of way—where right of way and who goes first may be determined by (and I haven’t quite figured it out yet) a combination of who is bigger, who is faster, whose horn is louder, what day of the month it is, or what color your car is—and where everyone is making forward progress ignoring traffic lights and signs, horns blaring, whizzing by within inches (or less) of each other, and where mopeds and pedestrians share the sidewalk, I now realize that sidewalks and roads don’t represent exactly the same thing as we here, by U.S. standards, might think they do. Yes, I’d love to share that insight with you, but, this isn’t a Traffic & Transit column. Prices here are as fluid and ever-changing as the traffic. The price of just about anything you endeavor to purchase (especially if you’re an obvious tourist) will vary, depending on how gullible they think you are, or how gullible you actually are. I mean everything! On my first night I walked into a little shop to purchase a bottle of water. Storekeeper told me 2RMB (Ren Min Bi, the currency of the People’s Republic of China). Now I know enough to know it should be no more than 1RMB, or perhaps I was simply sensing intuitively that “the game” was on, stepped out, called my translator in and had her ask the price. Caught in the act, the owner shyly admitted it was 1.50RMB. We all laughed at his obvious attempt to play and win the game. Yesterday, I walked into a store to get a bag of cashews (7.50 RMB) and a bag of dried fruit (12.00) with prices plainly written on the items. The shop cashier/owner punched in the prices in a calculator (she didn’t use the scanner like she did the night before), turned the small screen toward me indicating that my bill was 10.30. Ahem. Now, I may not speak Mandarin, lady, but I went to school to be a civil engineer. We covered basic addition. First day. Heck, I can even do that one in my head. I took the calculator, silently punched in the numbers myself, turned the small screen back toward her showing her I would be paying 19.50 RMB. She waved her hand in disdain, took the 20RMB bill, gave me my .50 RMB change—all this in a wordless exchange of calculator buttons, bills and screen displays. Fun stuff! Yes, I’d love to share that experience with you, but, this isn’t a Chinese Shopping Tips column. 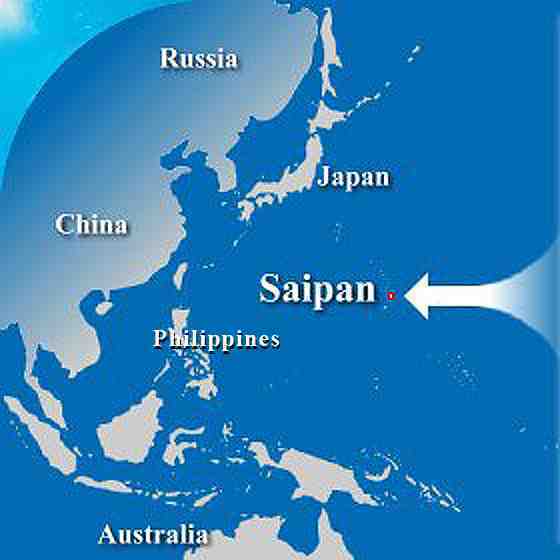 You know, it’s interesting that many of us on Saipan would never imagine that the Chinese girls we see working in the factories and living in decrepit single-room barracks are often actually from huge, modern cities that outpace Los Angeles and outspend Fifth Avenue. As China continues to elevate itself economically, the lure of the then 8-to-1 (now 6.75-to-1) RMB-to-US dollar exchange rate becomes less of a draw. The lifestyle the workers are willing to endure to earn the better exchange rate often bears little resemblance to where they hail from. Yes, I’d love to share the eye-opening insights into life and lifestyles in China, but this isn’t a Lifestyles Column. Perhaps I could share with you the attraction, attention, curiosity, entertainment value, social prop and dating aid of being of African descent and darker-hued in China! Heads turn, jaws drop, eyes widen, gasps are uttered (yes, I actually heard a gasp—I thought those only happened in comic books—while at the Administrator’s Garden, a tourist spot in Suzhou). Cameras click, people stop what they are doing, look, ogle, point, and then move on, smiling and talking, having had a little distraction from years of seeing only Chinese features and flesh day after day. Some will say “Hallo” and engage in small talk to practice their English. Some will reach out and actually touch you as they walk by. Others will ask where you are from. Some will want to take photos. The attention is constant. You are always being observed. Want to pick your nose? Be careful, somebody’s watching. Want to scratch your, um...? Forget it, somebody’s watching. Struggling to eat with chopsticks? Well, you’ve just entertained the ENTIRE restaurant, the wait staff, and, more than likely, the strangers outside walking by who’ve stopped, yes, I said stopped, unreservedly, to look, make that to stare. Yep, I’d love to share with you the almost celebrity-like status one of particular genetic endowment can experience here, but, alas, this is not a blog-style column about my private exploits. Perhaps the night club scene? With hip hop, reggae and “80’s Night” with Chinese kids all wearing afro wigs? Nope. Not an Entertainment Column. Wish I could show you the photos! Perhaps the unique side-by-side mix of modern high-rises and ancient temples? Nope. Not an Architecture Column. Drat! Perhaps I could tell you how unusual it is perceived to be in a restaurant and requesting a vegan meal with no MSG, meat oil or sugar, but successfully negotiating the deal? Nope. Not a Dining Column. Oh, well! So, here I sit, still challenged. With just an hour left to my deadline, I have nothing to write that could serve as encouragement or inspiration to potential Saipanpreneurs to think differently about what they believe, what they’ve seen, and how they view themselves and others. Nothing that might encourage people to step outside of their proverbial boxes in their behavior and attitudes and experience new realities. Not a blessed thing! Man, my editor, Jayvee, is going to be mad! For today, as I sit here in China, I have absolutely nothing to share! 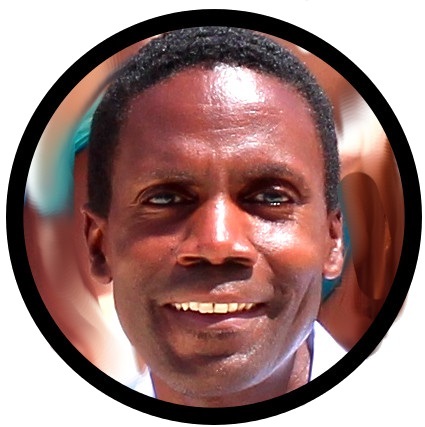 Note: With just a few days left in the adventure, anyone wishing to share in my private “Jamaican in China” e-mails is free to e-mail me at walt@passionprofit.com and I’ll send you (almost) everything you’ve missed.